Yes! I’m still baking for my kiddos. I’m still trying to surprise them now and then with some treats! I saw these muffins that looked like large donut holes, wrapped in sugar and I knew I had to give them a whirl! 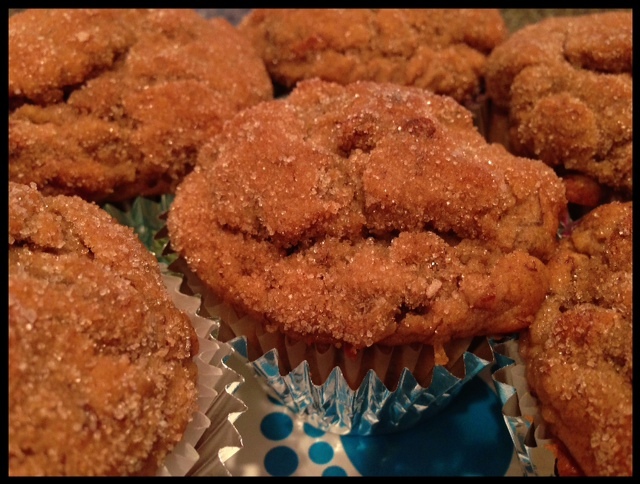 They were modified from a sugared chai latte GF banana muffin recipe. 1/2 cup dairy/soy free butter or single-serving container of natural applesauce. Combine ingredients and put into sprayed muffin cups or muffin tins. Bake at 400 for 15-16 minutes. 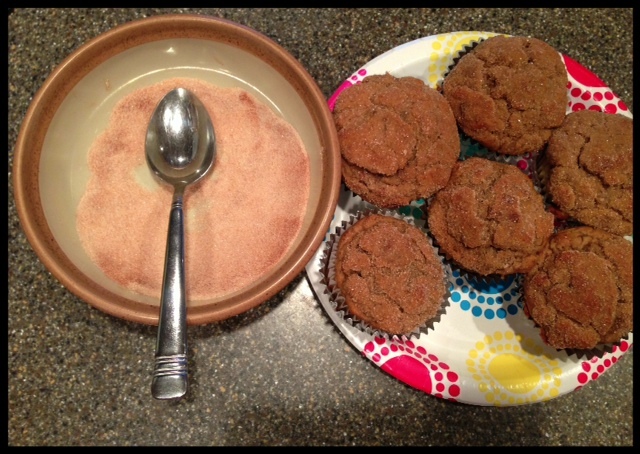 After cooling, and before serving – dip muffin top in organic sugar/cinnamon mixture in a bowl for the final touch! If I can’t eat it … at least I can smell it, and bake it for those I love. Posted on January 15, 2013, in Celiac/Gluten Sensitivity, Food To Try and tagged auto immune disease, celiac disease, gluten free baking, gluten free muffins, gluten intolerance, healthy for him. Bookmark the permalink. 1 Comment.